Home Articles Has the Women’s Revolution Come Full Circle? Has the Women’s Revolution Come Full Circle? Hey, guys. Miss me? I was out in the woods of Pennsylvania for a week, so I wasn’t able to get on here, but now I’m here. Please, save your tears. So last week on RAW, the McMahon family came to make a historic announcement. 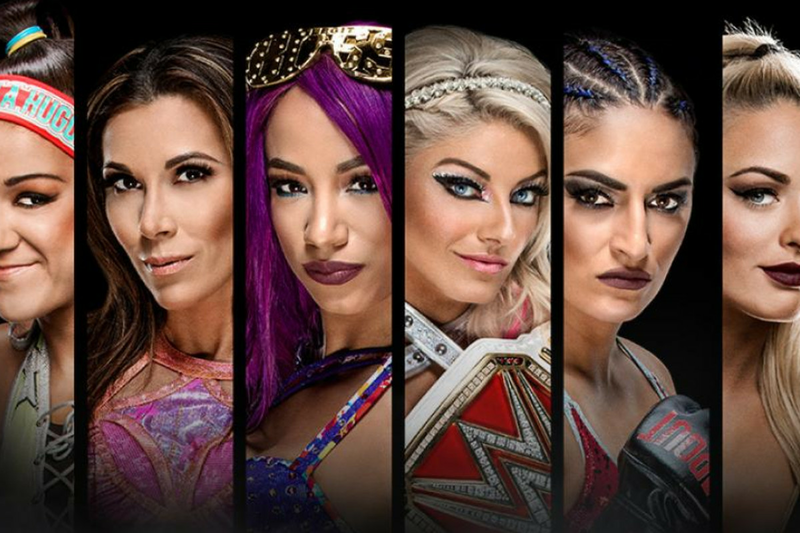 The women’s revolution takes its next big step, as for the first time ever, women will have a PPV all to themselves, simply known as Evolution. This announcement comes on the heels of women pushing the envelope of what their limitations in this business are, and no one can say they haven’t earned this moment. However, there has been something I have been pondering in the back of my mind. Does this signal the end of the revolution, or is this merely the next chapter for something that is not yet completed? The women’s revolution, according to Stephanie McMahon, began when AJ Lee made a viral tweet about the unfair treatment women get in WWE back in early 2015. For a few weeks or so, women got matches that would actually go to commercial, but there wasn’t anything special in the works. It wasn’t until later in the summer when Stephanie would introduce NXT standouts Sasha Banks, Charlotte Flair and Becky Lynch to the main roster where there seemed to be a changing of the guard. The women still clearly had a lower place than the men, but things kicked into high gear the following year, when WWE exiled the maligned butterfly title, signaling the end of the Divas era. Instead, women were known as women again (crazy, right? ), and they would fight for the women’s championship, which resembled the WWE Championship. Sasha Banks, Becky Lynch, and Charlotte would steal WrestleMania, with it being effectively the best match on the entire show. Later in 2016, it would be Sasha Banks and Charlotte that would start to push themselves and the entire women’s division to new heights. From RAW main events to the first time ever Hell In A Cell, Iron Man and Falls Count Anywhere match, the two became stalwarts in the revolution. This transferred over to the Smackdown brand as well, as Alexa Bliss and Becky Lynch would compete in the first ever women’s steel cage and tables matches would take place over there. The following year, it continued with the first ever women’s Money In The Bank ladder match, and this past year, we got the first ever women’s Royal Rumble and Elimination Chamber matches. This certainly has been a process, and I’m proud of this generation of female WWE superstars for making us feel as though women are equal to men, or at least somewhat. But is WWE Evolution on October 28th the peak of the women’s revolution?? Some believe women’s revolution finally came full circle with this announcement. Other people believe the women’s revolution will never be accepted as a true thing that took place until they main event a WrestleMania. We also saw that in the real world, the women still have a great way to go, as they weren’t allowed to compete in Saudi Arabia for the Greatest Royal Rumble event. Another concern I have is that WWE is going to saturate this women’s revolution thing until it becomes irrelevant. I know you are prepared for weeks to come with endless recaps of this announcement, with emotional women stating how far they’ve come and endless tweets talking about their excitement. If this is used as a marketing ploy, then I believe the entire thing would have lost its meaning and what it was truly set out to do. If its something genuine, then I believe this can be a landmark moment for WWE. I can honestly say I would have never conceived of the women coming this far three years ago. I was so accustomed to seeing the Bellas stink it up in 30-second RAW matches, I would never have thought that women could have show-stealing matches at WrestleMania, compete in Satan’s structure or have a PPV all to themselves. But again, is this as far as they are going to go? Or do they have yet another gear we never thought they could reach? What do you think?